Road Cancer Institute of Dar es Salam. Medical Oncology, Komen Scholar and BCI2.5 Secretariat Co-chair Dr. Phase 1: Diagnosis and management of palpable breast disease. more breast cancers are detected early. Director of Global Programs at Komen. Komen Scholar and Secretariat Co-chair of BCI2.5. combat breast cancer, currently taking place in more than 30 countries. in more than 30 countries worldwide. 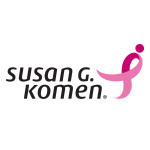 Komen was founded by Nancy G.
or call 1-877 GO KOMEN. Connect with us on social at ww5.komen.org/social. Suscríbete y recibe consejos de relaciones, belleza y salud. ¿Qué debo tener en mi botiquín de primeros auxilios? ¿Qué es una ejecución hipotecaria y por qué la debo evitar?